The people of Syria are suffering under an increasingly unpopular repressive regime that preys on its citizens in a bid to cling to power. Inspired by events in Tunisia and Egypt earlier this year, Syrians took to the streets to demand political reform, freedom and respect for human rights. The brutal regime of President Bashar Al-Assad responded with disproportionate brute force - killing scores of protesters. The "bloodthirsty crackdown" in Syria has attracted international condemnation from human rights groups and free countries around the world, but China and Russia - two countries with questionable rights records at home - have shamelessly opposed any attempts by the United Nations Security Council (UNSC) to send a strong message to the Assad regime that using tanks, snipers, air-power and systematic torture against civilians is intolerable. On 5 October 2011, Russia and China vetoed a UNSC resolution drafted to urge Syria to end the military operations against civilians or face diplomatic and economic sanctions, including an arms embargo. Since the state started killing civilians in March, more than 2700 people have reportedly been killed, including a 13-year-old boy brutally killed in custody [WARNING: Very graphic video] of government forces. In June 2011, Amnesty International published a report about the crackdown in Syria and expressed concern that crimes committed in Syria amount to crimes against humanity. It is a shame that Russia and China have turned their backs on the people of Syria, despite overwhelming evidence of atrocities committed against them by an ally of the two veto powers. By opposing the UNSC resolution, the two "unfree" countries have sided with an oppressor against his people. 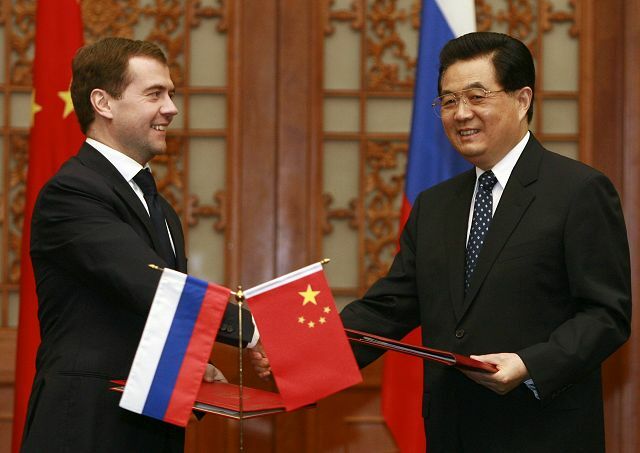 Both counties, under the leadership of Dmitry Medvedev and Hu Jintao, have once again shown the world what they are made of. Both countries have blood on their hands. Mindful of allegations of possible crimes against humanity in Syria reported by Amnesty International and loud calls for help from the oppressed in Syria, Russia and China have failed in their "responsibility to protect" the people of Syria from a ruthless strongman.